Blockchain may have been the obvious choice when one considers the subcategory of fintech that might gain traction this year, but we should have expected that the rise of a more reliable ledger system would pave the way to the rise of companies that would be able to utilise information gleaned from said ledger. Either through newly collected information or utilising data banks that have been sitting idly in data caches of various big corporations, artificial intelligence (AI) has risen and may pave the way for the future of fintech. McKinsey estimates that AI could potentially create between US$3.5 trillion and US$5.8 trillion in value annually across nine business functions in 19 industries. 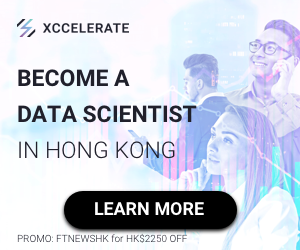 In Asia, Hong Kong’s AI sector is getting a slice of a HK$50 billion of budget 2019, and the Monetary Authority of Singapore has a standing US$27 million AI grant named AIDA furthering the island nation’s drive into artificial intelligence. 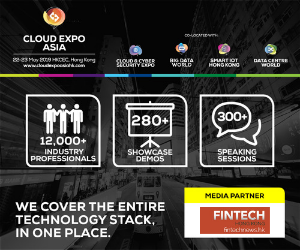 Known as Cashalo in the Phillippines and Finmas in Indonesia, Oriente uses technology like artificial intelligence, machine learning, and data science, to build solutions that provide real-time credit scoring, digital and O2O lending, and other tailored financial services to millions in Southeast Asia’s fastest-growing economies. The company now has over 1200 employees across offices in Hong Kong, Shanghai, Singapore, Taipei, Manila, Jakarta, and Ho Chi Minh City. SenseTime is said to be one of the fastest growing AI startups in the world—focused on developing highly-advanced deep learning and AI capabilities that are being used in everything from autonomous vehicles to closed-circuit surveillance cameras. The company gained attention for its AI-driven facial recognition technology which is being used by China’s government to identify traffic offenders, though it has been used in fintech spheres as well. Tricog Health is a deep tech AI startup that aims to solve the healthcare challenge of heart disease. The startup utilises advanced machine learning algorithems and a team of cardiologists to launch the Tricog ECG, a solution for healthcare workers worldwide to diagnose heart diseases in real-time. It received a US$4 million Series B funding led by the University of Tokyo’s venture arm. Tricog plans to use the funds to further develop its predictive heart care platform and refine its AI algorithms further. Ostensibly for healthcare, Tricog also has potential for use in insurtech spheres. Singapore-based Tricog has developed the country’s first AI-powered heart care solution. Its cloud-based platform uses AI to predict a patient’s risk of heart disease, and is able to suggest personalized treatment plans based on each patient’s vital health indicators. 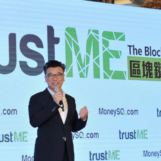 The startup is now working to roll out its platform with a number of medical institutions in Singapore and across the region. Earlier this year, Tricog landed $4M in funding in a Series B investment round led by the University of Tokyo’s venture arm. Tricog plans to use the funds to further develop its predictive heart care platform and refine its AI algorithms further. Cambricon is said to pioneer the development of smart chips and processors with high performance, yet low power consumption for AI-related R&D, and have produced a few versions of its AI chip since its launch. Cambricon Technologies’ core processor chips have been used for intelligent cloud servers, intelligent terminals, and intelligent robots. Cambricon Technologies also secured hundreds of millions of dollars in its Series B funding round which sets its valuation at US$2.5 billion, with investments from China’s State-owned Capital Venture, SDIC Venture Capital, China Capital Investment Group, TCL Capital, CITIC Securities, Alibaba VC, Lenovo Capital & Incubator Group and others. Biometrics has been a popular feature for authenticating payments as of late in China, and Face++ has become one of the faces of that movement, pun unintended. This AI authentication service is said to have fraud detection, able to locate up to 106 high-precision facial keypoints, identify things like gender, age, emotion, head pose and ethnicity, and even compute similarity between faces for evaluation. Aida Technologies is a notable Singaporean-based company partly because it uses technology to make insurance claims more efficient. 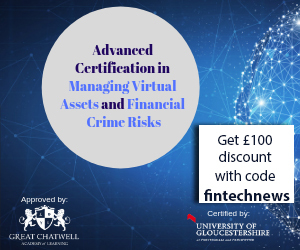 The company utilises algorithm that is able to scan for potential fraud in insurance claims and alert authority figures before it’s too late. AIDA is not to be confused with the artificial intelligence grant by the Monetary Authority of Singapore bearing a similar name. That being said, Aida is the recipient of an undisclosed amount of funding from the Singapore government-backed SGInnovate . 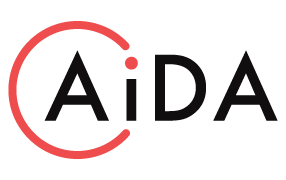 AIDA Technologies’ AI based predictive analytics solutions aims to addresses the key challenge of automation of knowledge work by augmenting human experts ability to make decisions when confronted with huge amounts of heterogeneous information from diverse sources. LeapMind calls themselves a deep learning company and is known for products that allow businesses to embed deep learning capabilities for practical use, without needing specialised knowledge and skills for model designing and hardware implementation. Deep learning is one of the machine learning methods that is primarily based on learning data representations, as opposed to task-specific algorithms. Their DeLTA-Lite sofware in particular was built to also support Cyclone (R) V SoC by Intel, as well as additional FPGA-oriented services earlier this year. Datanest is an Indonesian startup that helps businesses analyse their data using machine learning and artificial intelligence. It is probably one of the younger entries on this list. 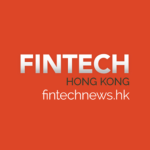 Datanest has built a small niche for itself by partnering with a number of fintech-related businesses by building af intech aggregator platform which helps people compare and apply for loans. Now, they’ve broadened their scope to offer their services to anyone who has big silos of data that they’d like to pump through their artificial intelligence. Based in South Korea, Dayli offers a patented AI technology that is able to offer enterprise-level analytics for financial firms. But beyond that, the company also made a stake into blockchain and ICOs. On the blockchain front, the company inked a partnership with Ripple to bring blockchain into its usual artificial intelligence offering. 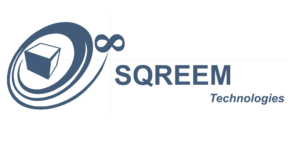 Founded in 2010, Sqreem has a presence in 40 countries and 12 industries, and using their proprietary technology, they didn’t need to know anything about these industries to stake out a presence. This is because the company has been able to create an AI platform that is able to grasp behaviour, context, and logic at levels and scales that the company claims are beyond human capability. One of Yitu’s most interesting offerings is applying facial recognition technology to ATMs in China, in lieu of PIN numbers or fingerprints. 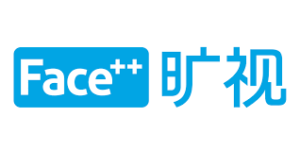 They are a Chinese startup that users artificial intelligence to produce facial recognition data on a wide scale, and has penetrated industries like automotive, healthcare, and are even in the midst of developing chip hardware for AI algorithms.